When pondering why squash has been overlooked yet again for the Olympics, understanding the impact of fun activities like breakdancing and skateboarding is one thing. Accepting why eSports (computer games) are also likely to be miles ahead of squash is another. The IOC is clearly looking at commercially-driven, youth-orientated activities to include in the Olympic Games. It doesn’t matter if you call them “sports” or not. Not to the IOC. They have moved the goalposts massively since committing squash to another expensive bid which was doomed to failure before it even began, thanks to the IOC announcing their four chosen sports for Paris in the same week that the WSF and PSA launched their joint Squash Goes Gold campaign. 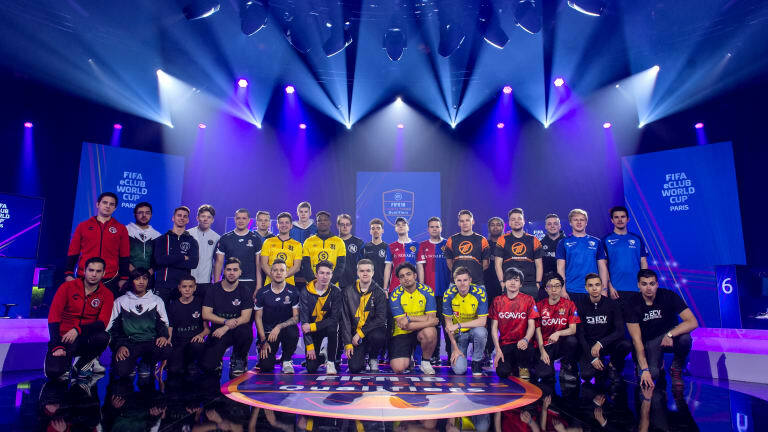 Please read this article from Inside The Games and digest the figures about the FIFA eWorld Cup Grand Final 18. Twenty million players. All of them buying a digital product and paying an entry fee to play in a single competition. That kind of cash would keep squash going for years. You could put a gold-plated glass court outside Buckingham Palace and the big brands would come flocking. Just look at Wimbledon and the Henley Regatta. Money attracts money. Licensing these virtual games is a massive money-spinner for FIFA, and that is sure to have caught the eye of the IOC commercial division. The Olympic Games came into being after much groundwork had been done in England during the 1800s to inspire a form of “Olympian chivalry” which led to school playing fields popping up all over the country. Healthy body means a healthy mind. All that lovely Victorian stuff, designed to keep mill-workers fit, and stop choirboys from masturbating. When relaunched by Baron Pierre de Coubertin, the Olympic Games ideal used to be about providing a platform for the purest form of sport. Those ideals have long been shattered by drug-fuelled cheating in athletics, cycling, weightlifting and so many other disciplines. Money has since become the prime driving factor for the IOC, which was founded by the Frenchman de Coubertin, who took all the credit with scant acknowledgement of the supporting role played by so many influential figures in England. There is a bitter irony that squash has been treated so disgustingly yet again as the Games prepare to return to France.